Banteay Srey is some 30km from Siem Reap, so I had booked a car the previous day to take me there. Richard decided not to come. 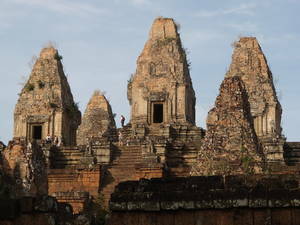 On the way I stopped to take some photos of Pre Rup in morning light. 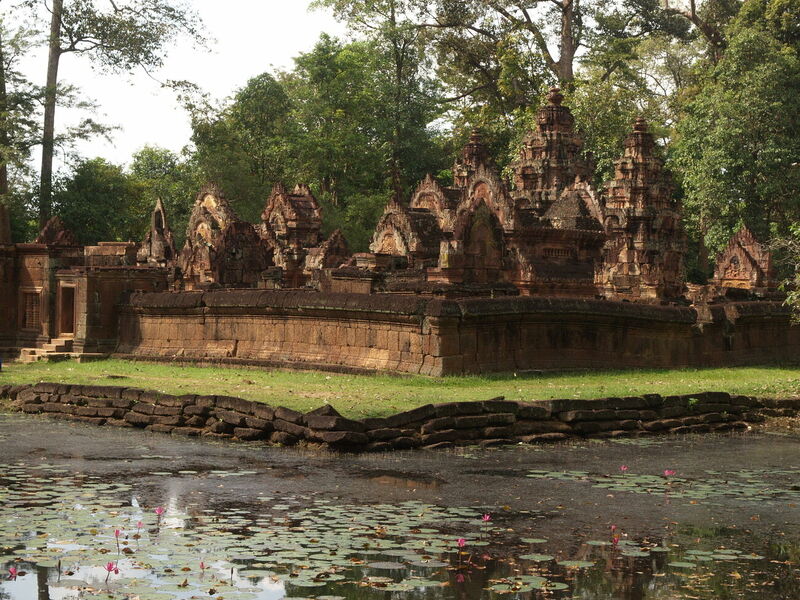 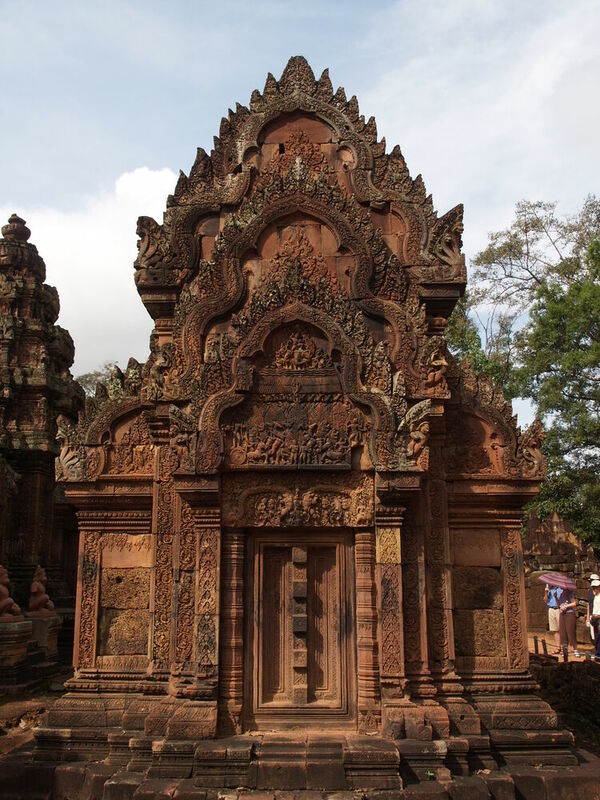 Banteay Srey is a 10th century shrine devoted to Shiva, made out of red sandstone. It wasn't built by a king and is on a much smaller scale than the other temples: the shrine itself is barely 50 metres a side. 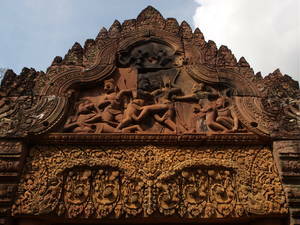 Because of this, and its popularity, it's rather crowded. 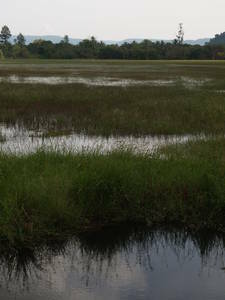 I wandered around the site, following birdwatching signs, but found a waterlogged field with no birds other than some geese. 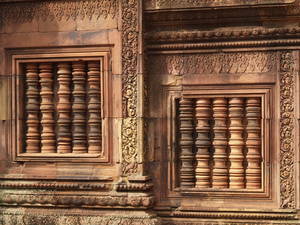 There's also a small museum/exhibition; Banteay Srey is being managed by a joint Swiss-Cambodian project. 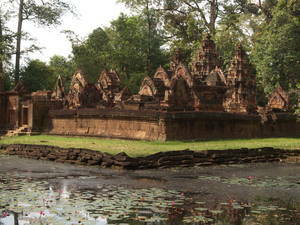 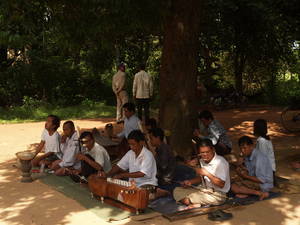 From Banteay Srey I followed the advice of my car driver and we headed for Kbal Spean, further to the north.